Wedding Sparkle are delighted to be working with local photographers Infinitus Studios. 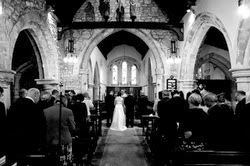 Infinitus Studios provide both professional contemporary and traditional wedding & event photography services based from our Studio in Brighouse, West Yorkshire. With our team of photographers based in the Yorkshire region we stand ready to cover weddings, birthdays and other events across the North of England and the whole of the UK including popular locations in the Yorkshire region. Our enthusiastic photographers are well versed in covering civil ceromonies in registry offices, right the way through to Cinderella style ceremonies such as stunning castle weddings and stately home weddings. If you have an event or a party you'd like us to cover, then just call us to discuss your ideas. No matter whether your event is a small intimate affair with only the very closes of friends or a large family and friends affair with the guest list hitting several hundred, we will discuss your requirements and listen to what you want to see from your special day.